My Aunt Shirley is basically the baking queen. This is her famous dinner roll recipe! 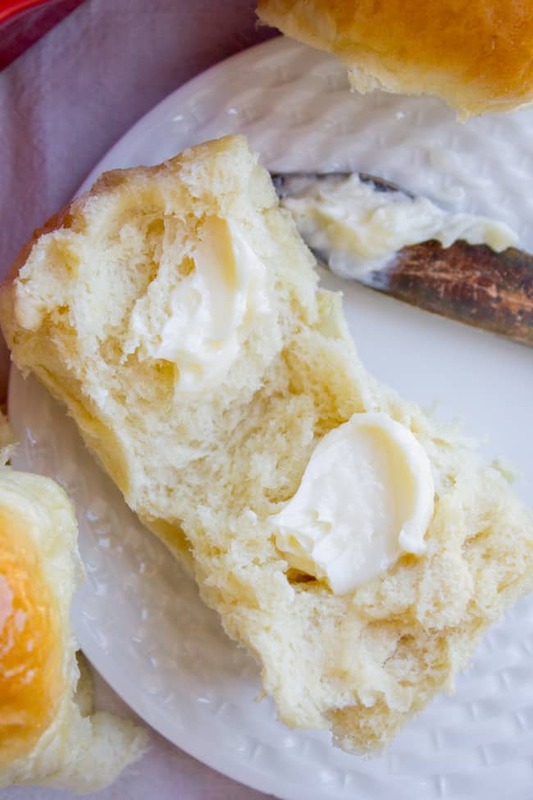 So light, so fluffy, SO much heavenly buttery goodness. 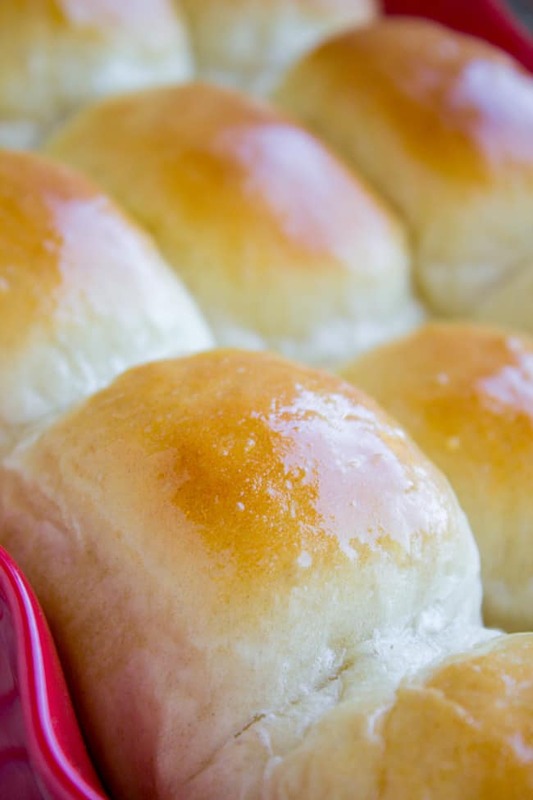 Who needs dinner when you’ve got these dinner rolls?? I could eat the whole batch. Yay! Eric and I are SO excited for baby #3, and don’t even get me started on the kids. Charlotte wants a girl and Truman wants a boy (of course). We find out in a few weeks. When food makes you sick but your entire job revolves around food, you are kind of forced to take a break, hence the radio silence going on here at The Food Charlatan. When I drove from Sacramento to Philadelphia, I was still feeling pretty awful. But by the time I got home and left for Seattle, I was mostly better, with just a few setbacks here are there. Now I’m almost completely back to normal, if not fitting into any of my clothes by 19 weeks is normal. Hallelujah! Who already knew I was pregnant?? Come on, some of you ladies guessed, right? My cousin Amber brought her mom’s dinner rolls to our Easter get together this year, and I literally ate nothing else. If you think I’m exaggerating, then you have never had morning sickness before. 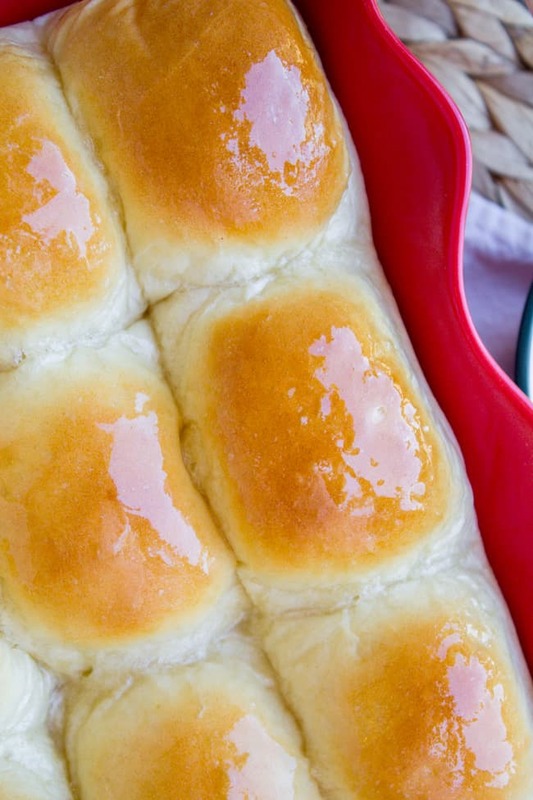 It really is possible to ignore ham, asparagus, jello salad, and all kinds of other amazing food when faced with queasiness and an entire pan of dinner rolls. I begged for the recipe and now you lucky kids get to try them too! I love them because they have 2 full tablespoons of yeast and are SO fluffy and light. The flavor is just amazing. My Aunt Shirley uses Crisco in her recipe, but if that’s not your thing, I’m sure butter would work too. The shortening makes them SOOO soft though, and I used butter-flavored Crisco, so no flavor sacrifices. Check out some step by step photos below the recipe. If you make these, I’d love to see them! Tag #TheFoodCharlatan on Instagram! In a small bowl or coffee mug, microwave the 1/2 cup water for 20-30 seconds, until it is lukewarm but not hot. In a glass measuring cup, microwave 2 cups milk for 1-2 minutes until it is warm but not hot. In a large bowl or stand mixer, add 1/3 cup sugar, salt, and shortening, and 2 cups of the flour. Stir together with a wooden spoon. Add the warm milk, yeast mixture, and 1 egg. Mix well and let rest 5 minutes. At this point I started using the dough hook on my mixer. Add 2-3 (or up to 3 and 1/2) cups flour, one cup at a time, mixing in between. Once all the flour has been incorporated, knead for 5-6 minutes, using your hands or the dough hook. Grease a large bowl well with oil or butter. Scrape all the dough into the bowl, shape it together, then turn it over so that the top is greased. Cover loosely with a tea towel or plastic wrap. Let rise until doubled, about 1 hour. Punch down the dough. 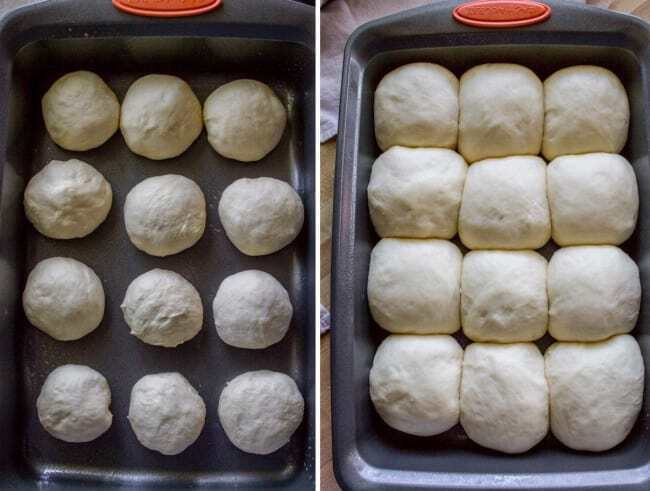 Divide the dough into 24 equal pieces. Shape each piece into a ball (pinch one end with your fingers). Place the rolls in 2 well-greased pans. I used one 9x13 pan and one 2 quart casserole dish. Cover the pans with tea towels and let them rise in a warm spot for another 30-45 minutes, until doubled in size. When they are almost done rising, preheat your oven to 375 degrees F.
Bake at 375 for 12-15 minutes or until golden brown all across the top. *If your yeast mixture is NOT getting foamy, then abandon ship! You killed your yeast with too hot water probably. Better to start over now than wind up with sad flat rolls in 2 hours. **My aunt's recipe says to use 4-5 cups of flour, and that's what I had originally published. Dough is finicky, and how much flour you need to add depends on a lot of different factors. But I consistently use at least 5 cups of flour when I make this, and sometimes up to 6 or even 6 and 1/2 cups, so I've changed the recipe to reflect that. You are going to have to use your best judgement here. It should be a very sticky dough, but you do want it to come together. Use the least amount of flour that you can in order to get it to form into a workable dough. Proof your yeast to make sure you don’t kill it. 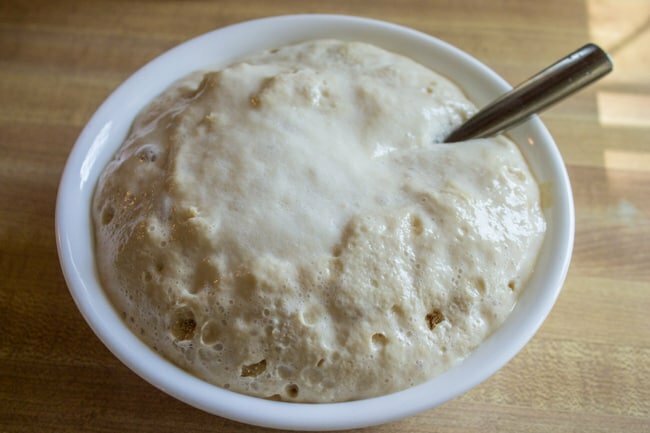 There is so much yeast in this recipe that you have to move fast before it overflows the bowl! When the dough has been kneaded, it should still be pretty sticky. You want to be able to work with it, but don’t dry it out with too much flour. Don’t run errands during your one hour rise, because you will be late and this will happen. Separate the dough into 24 pieces and shape them by gathering it and pinching with your fingers, then make the pinch the bottom of the roll. I’m fussy and like to use a scale. Each roll should be about 2 ounces. On the right you can see just how fast these rolls rise. Both of these weigh 2 ounces, but you can kinda see that the one on the right has started to puff a little, even though it had only been a couple minutes. Here’s the spacing situation when you use a 9×13 inch pan. This is a 2 quart casserole dish, so the rolls are more squished, but it worked great. Pull them out of the oven when they are a nice golden brown all over the top! More stuff you will like! Big Fat Crescent Rolls: Bad picture. 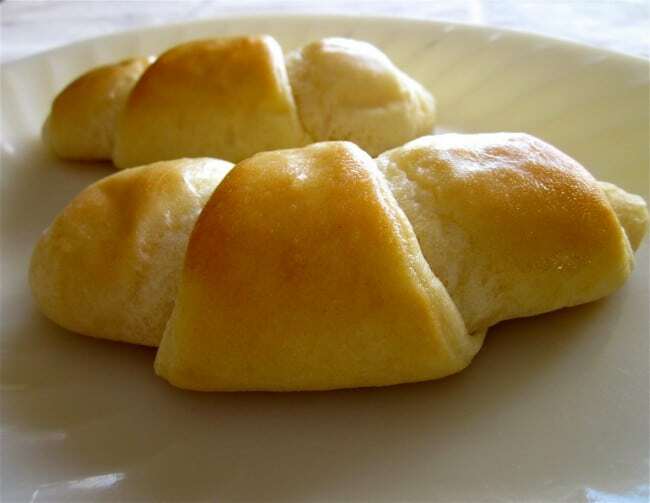 But these are amazing rolls. Roll recipes from other bloggers! Made these wonderful rolls today. Turned out great app. 6 cups of bread flour. When my last batch of cookies were not up to par I discovered I had bough bread flour by mistake. We have been plowing through the cookies tho quite dry 9 ( not substitutable). 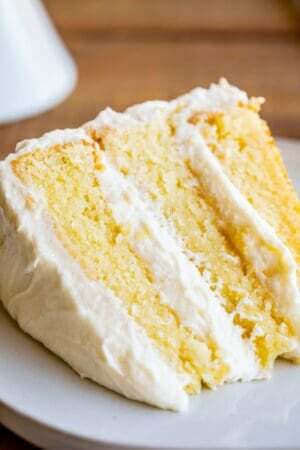 I have made a number of your wonderful recipes, tho this is my first time writing to you, I want thank you so much for making me a better cook. Your comments are so enjoyable too..
Jacki, I’m so happy to hear that! Thank you for your very sweet comment. And I can’t tell you how many not-up-to-par cookies my family has to go through because of all the recipe testing I do. Ever when they are not great, they get eaten. It’s so funny! What type flour did you use? Would bread flour be appropriate? I am not a bread maker but I think the amount of protein in bread flour is higher that all purpose. Want to give this recipe a try. Hi Angela! I used regular all purpose flour. I haven’t tried bread flour, I’m sure it would be great! You are right, bread flour has a higher protein content and yields a bit stiffer of a dough. But it will still be good! well I made the rolls yesterday, and by far the best rolls I have EVER had and I have had a bunch. I of course like some had very, very sticky dough, I think a little stickier then yours, but I did look at all the wonderful (thank you by the way) step by step directions, but as other people I did not want to add anymore flour after the 6 cups, BUT with this said, I had a very hard time handling it, but soon picked up a routine, I could not separate into 24 balls I had to just pull some (ha ha the consistency of slime) off and I had a plate with flour so I dabbed the dough into it till I could at least get it into a ball working very fast, so I could use the least amount of flour I did up with 23 because of the loss of sticking, which was not bad considering, but HOLY!!!!!!!! thinking to do the same thing next time because the trouble I had was so WAY WORTH the end result, maybe, just maybe I might add up using 1/2 cup more flour, but that will be it if I even do it… Thank you so very much for sharing this recipe, this is going to be the only one I use from now on… I am anxious to try some of your other recipes and that is the greatest compliment I can give you because normally I don’t look at more recipes from any one blogger…. all I can say is WOW, and what can I say to other people trying this recipe is hang in there it is so worth it…..
Hey Sandra! Thanks for all the details and tips! I’m so glad you liked the rolls. The idea with this recipe is to add as little flour as possible while still being able to work the dough. So feel free to add a bit more flour until the dough is manageable. There are so many variables when it comes to adding flour to bread, it’s hard to nail down an exact amount. I’m so glad it turned out well for you! So easy to make and what a beautiful Golden brown crust and soft chewey interior! They really are the best, right Curt? Thanks for your review! You are totally right, I do have a comment below that says that! I THINK it would work fine, but I have not tried it so can’t guarantee results. More of a question… are you able to prepare these ahead of time? If so, how far in advance and any tips? Happy Thanksgiving! Hey Karley! Yes, you can make these ahead of time IF you freeze them. (They will get stale if you don’t) Put them in ziplock bags and freeze, then let thaw in the sealed bag on the counter for a few hours. 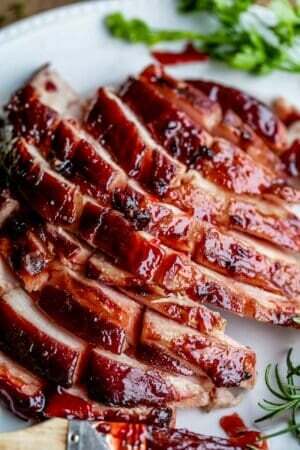 Put them on a pan in the oven on the keep warm setting (170 degrees) for 5-10 minutes and then serve. Enjoy! oooooh love the Italian seasoning/garlic idea!!! That sounds so yummy! Thanks Vera! Made these some few days ago and loved the taste. They tasted even better the following day. Thanks for sharing as is my first time of baking bread and I did all without a mixer. I’m so happy your first time baking bread went well Abigail! Check you out! And I’m so glad you liked the rolls. They are a huge favorite of mine! I love this recipe! My daughter has a dairy allergy so I have to do a little substituting. (Rice Milk and Vegan Butter instead of milk and real butter) Those that don’t have a dairy allergy don’t know the difference. Wow great tip Cheryl! I will have to try that out! At what point in the recipe can you refrigerate or freeze to cook later? Hey Lacy! 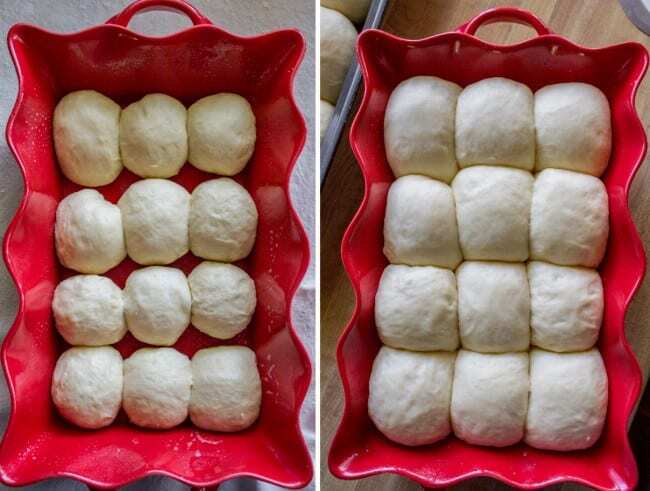 You can cover and refrigerate overnight as soon as you have shaped the rolls. Take them out and let rise at room temperature until double in size. Not sure how long it will take, probably at least 2 hours. Excellent rolls! I have never made any type of bread, including pizza dough. These were easy, and so delicious. Thanks Tracy! I’m so glad you liked them. I just made these again for T-day last week. Thanks for coming back to comment! I love that! I just made these rolls for our Thanksgiving dinner. I used butter because I do not generally have shortening on hand. The dough was stickier than I am used to when making bread but they came out so soft and fluffy! I absolutely love them. I will be saving this recipe for future use. I am wondering if you habe ever used this dough to make loaves instead of rolls. I haven’t tried making loaves Laura! I’m sure it would work great! Have you tried it? I’m so glad you enjoyed the recipe! Hi Karen! These rolls were a hit yesterday! I made them for our pre-thanksgiving tradition we do every year and everyone loved them. By the end of the night I went and looked to see if I could have another one myself and they were all gone! 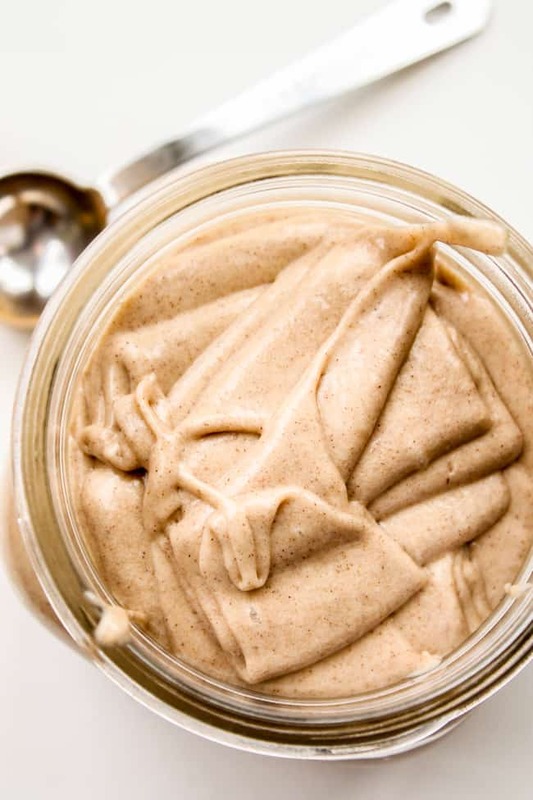 Not just that, the cinnamon honey butter was also a hit that everyone was taking cups to take some home with them! I have been requested to make this every year now for Thanksgiving ! Awesome! Now you can be family-famous for being the “roll-person” ;) that’s the best! 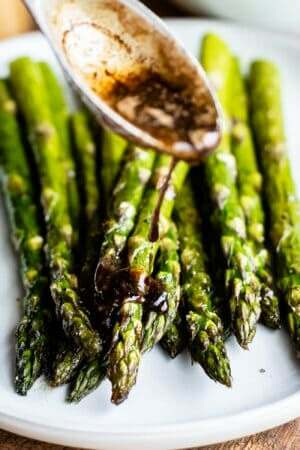 it’s sooo good with cinnamon honey butter, I’m so glad you made it! Thanks for the review! Hi, Karen! These rolls look positively AMAZING! But, please, I need your HELP! I have just finished my second attempt at making them, and I feel tantalizingly close to throwing this batch out the window. This hatred is second only to the hatred I felt for the first batch I made last week. 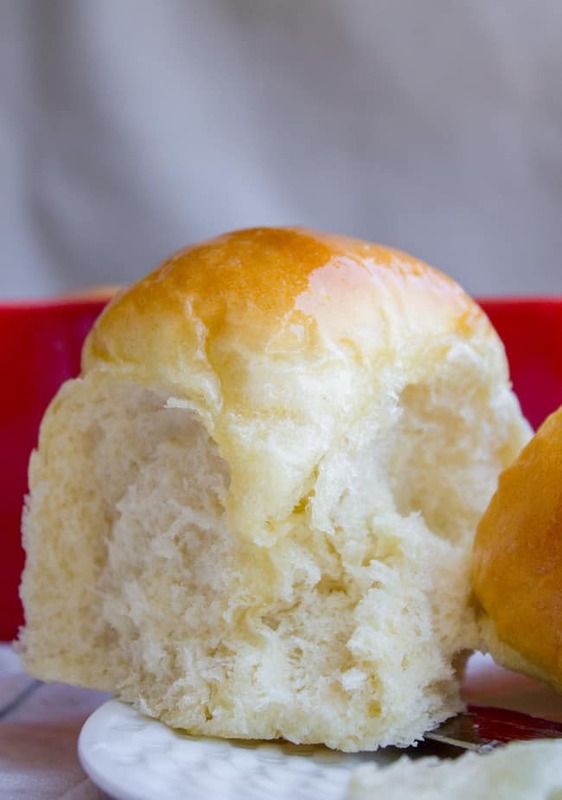 :-( I cook all the time and make homemade breads, cakes, and everything in between with success, but these rolls appear to want to be the death of me! The dough is so STICKY. 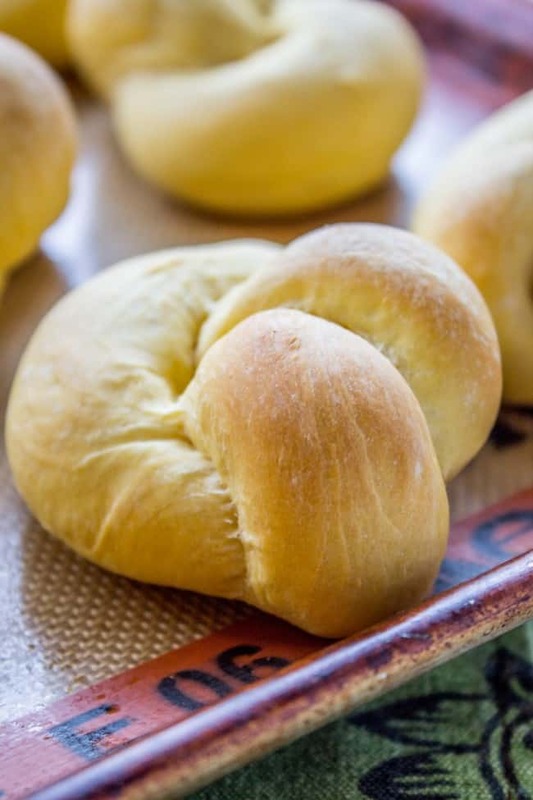 Both times I have used the max amount of flour you allowed for in the recipe, and both times the dough has been so sticky and runny that it is impossible to form little balls of dough to create rolls. After my first endeavor, I figured that I MUST have done something wrong, so I tried again today, following every single detail of the directions to the most minute of details, and…same results! 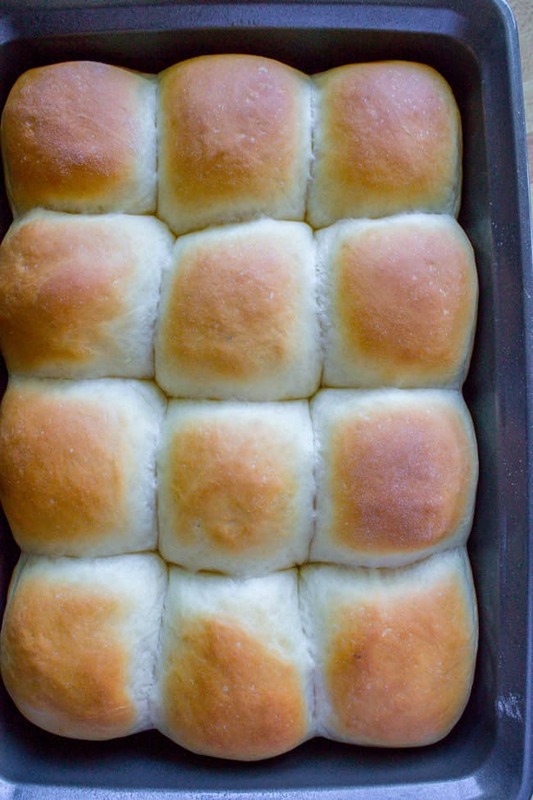 Your rolls look like bread from heaven, and I’d love to make them for Thanksgiving. Do you have any advice or thoughts on why my dough might be so sticky and runny? Thanks so much in advance! And congratulations on your new little one!!! Aaah no that is the worst Amy!! I’m so sorry you’re having trouble! The thing with bread dough is that it is SO finicky and needs different levels of flour depending on humidity and all kind of other variables. I think that really is your only problem. It just needs more flour. Add it 1/4 cup at a time until the dough is workable and then STOP! Refer to the photos below the recipe to see what the dough ought to look like. I hope it works! 3rd times the charm!! You’re so kind to reply—thank you! I’ll give it a try! Fingers crossed! Amy-I made them today for the second time for Thanksgiving today. Mine keep getting super sticky too. I added the max +1/4 C of flour AND I GREASED THE HECK OUT OF MY HANDS with vegetable shortening. Before I touched those sticky things. Well, they formed better-ish, and I was able to get 24!! I was relentless to try them for the second time, but even though the first time I made them they were beyond ugly looking, they tasted like heaven. So at the end I went for flavor than aesthetics. They are in the oven now! I made them today for the first time and I thought the same thing….looks more like soup. I can bake and cook with the best if them so it should not have been that hard. I ended up adding 6 1/2 cups to even get it to a workable dough. They turned out great….i guess it is more humid here than I thought. Thanks for the feedback M! I think you’re right. I’m a pretty experienced dough maker, so I always just add flour until I know it’s right. But over the past few years of making this recipe, I consistently use more than the 5 cups called for, so I’ve changed the recipe to reflect that. Thank you for commenting! I made these for the first time last weekend Karen. I made them to go along with the Beef Barley Soup and the combination was perfection. These rolls really are amazing. Chip and I finished the entire batch yesterday I believe, so. . . 24 rolls divided by 2 people divided by 4 days = 3 rolls per day per person. And actually there were only 2 rolls left yesterday morning so actually ore like 3 1/2 rolls per day per person. These are going to be in regular rotation with the Big Fat Crescent Rolls. Thanks Aunt Shirley!! Love this recipe. Thank you so much for sharing this. Also, love the red casserole dish. Where can buy this? Hey Megha! I’m so glad you love the recipe. The dish was a gift, my mother-in-law bought it at the hardware and furniture store they own up in Montana. I see it on Amazon here, but it’s out of stock! https://www.amazon.com/gp/product/B001DM96QS? Can u use regular cisco or golden cisco. ..e don’t have butter flavoured here…..
Hey Rachael! You can use any kind of shortening, or even real butter if you like. I tested it recently with all butter and it was delicious! I haven’t Becky! If you try it let me know how it goes. My mother in law just started using lard in her pie crusts and LOVED it, but rolls are a little different. I would have to test it. Can I freeze the dough at all to prepare it ahead of time? I’ve never made dinner rolls from scratch in my life! I’m hosting Thanksgiving this year and am hoping to save some time if I can!! Thanks! She gives different methods for how to make the rolls ahead of time. You can use her freezing methods with my recipe (or any roll recipe). Let me know how it works out! YAY!!!!! CONGRATS!!!! I’m so excited for you guys!!!! Wish I could give you a big hug! :) Morning sickness is soooo not fun!! And I can totally relate to only wanting carbs. 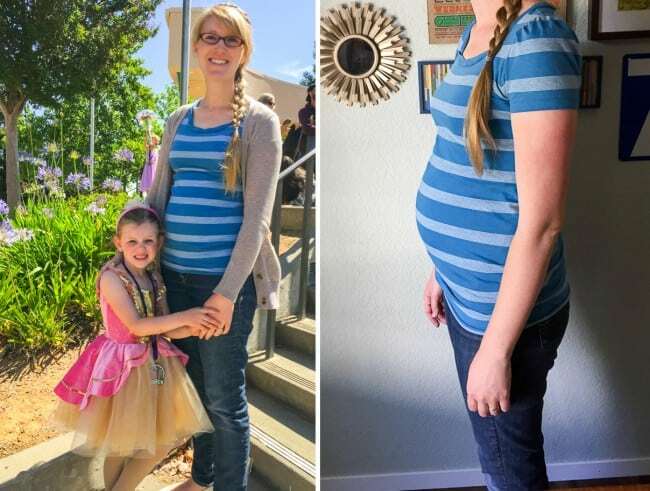 I lived off of pb toast, plain bread, popsicles and frozen grapes on my last pregnancy. Glad things are starting to get better for you!! 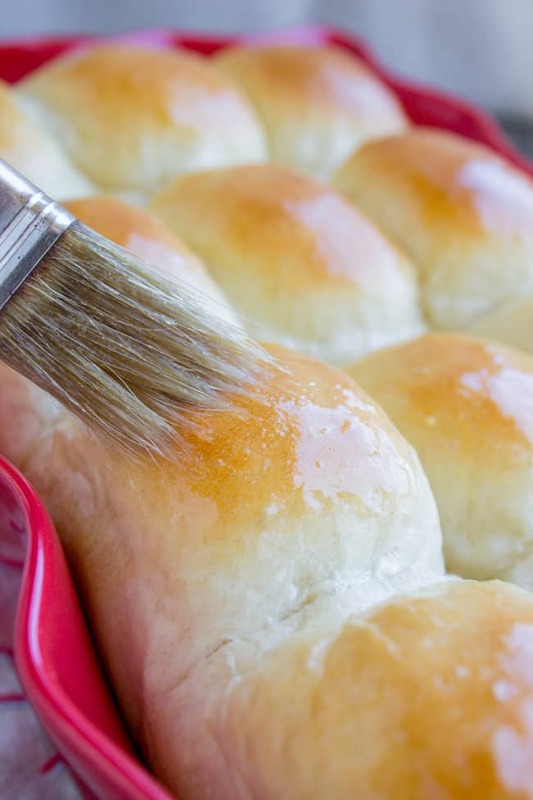 And these rolls, I could totally eat the whole pan!! Karen!!! Congratulations! So excited for you and your family. :) Morning sickness is AWFUL, I am glad you are moving beyond that now! Aaw yay, congrats, Karen! So happy for all of you! Glad to hear you’re feeling better too! These buns look perfect – so soft and fluffy!! Yay!! Congratulations!!! So so happy for you all! 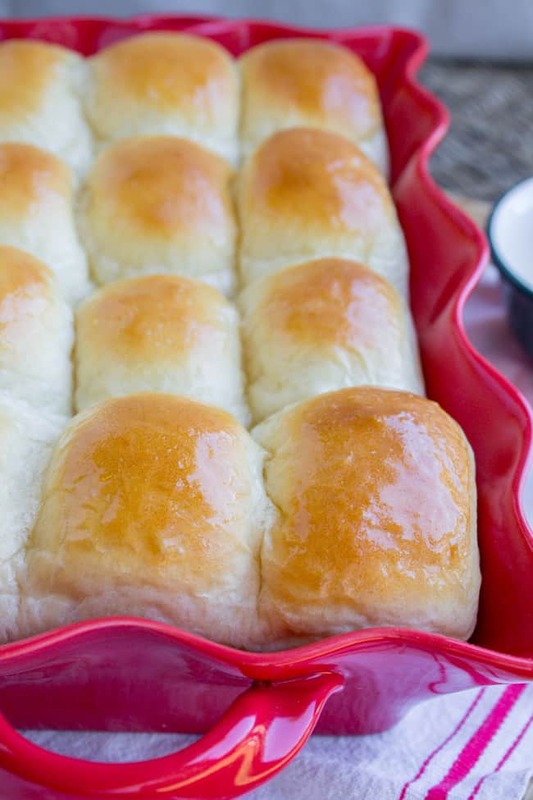 And these dinner rolls – major carb love! Yay! What a fun announcement! I am so excited for you and that little baby bump! Congratulations! That’s wonderful. What exciting news! In my opinion you can never have too many homemade bread/bun recipes. I just adore that smell. And so much better than store-bought. Congratulations!!!!!!! What wonderful news! Babies are such a Blessing. I say you are having a Girl. OHMYGOODNESS!!!!!!!!!!!!!!! I’m literally dancing around my kitchen in excitement for you right now Karen!! 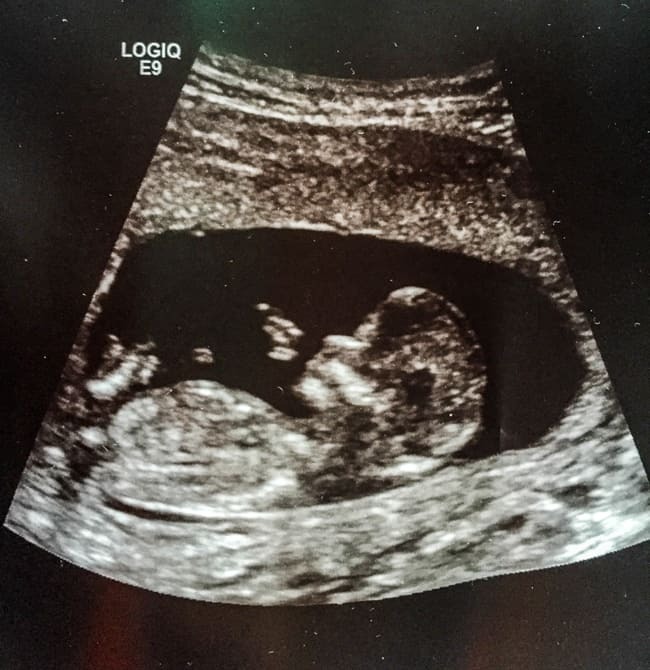 So, SO happy for you and your (soon-to-be-growing) family!! I still remember when you, Alex and I went to Rick’s two Decembers ago, and you mentioned wanting a third child… And now it’s happening! 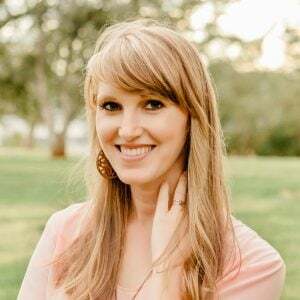 You are already the BEST mom ever (and yes, I am completely justified in this statement because I’ve been over to your house for dinner and seen how you interact with your adorable kids and you are seriously such a sweet, natural mother! ), and this little-one-to-be is so incredibly lucky to have you. Just like Charlotte and Truman! :) I miss you lovely lady, and I really hope I’m able to see you sometime soon!! Glad you’re over the first trimester and hopefully able to start eating more than cereal and milk too!! Congratulations! 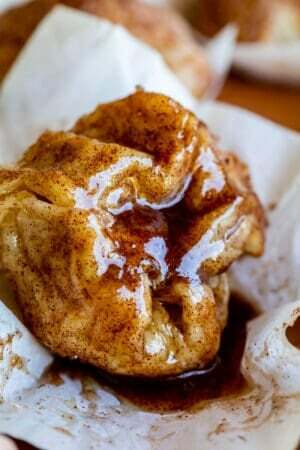 I am making these delicious rolls right now and was wondering if I can use the dough hook of my kitchen aid to do the kneading or if I need to knead the dough by hand? (That questions sounds pretty kneady! ha ha) Thanks for your advice! hey Beth! Hope you get this soon! You can knead using the dough hook. I will go change the recipe! Thanks for the feedback! I am so happy for you. And how fun for us to follow along on this adventure! I think it is a girl! That’s what I’m hoping?? And I really am hoping that they will let me wheel around, even if it’s only for part of the day. 35 weeks you are like a watermelon on stilts. haha. Thanks so much Ashley!! Buns and babies. Two of my fave things! Congrats. Right?? Nothing is better than fresh bread and babies :) :) Thanks Courtney! We’re all recovering from the stomach flu and I feel like I actually would want to eat these…so simple, so comforting, so not weird in flavor or texture. And I vote BOY! You need two boys in a row to ramp up the craziness over there. I want to see shenanigans. Ugh stomach flu! Wish I could make a batch for you. We DO need more shenanigans over here, I think you’re right. Why don’t you guys come live with us. Problem solved. I can’t believe Shirley let you have the recipe and publish it. These are the best rolls!! I think Misty and Shirley had to sell a tiny part of their souls to allow me to publish. I’m forever in your debt!! This roll recipe is too precious to be lost! these rolls look awesome, too. and something about overflowing dough just cracks me up. i don’t know, i guess it just speaks to my inner twelve year old but it makes me laugh every time. especially those pictures where a dough tube pops while still on the shelf in the grocery store. okay, nevermind, i’m ridiculous. Thanks Stephanie! Honestly I’m not sure how I did all that traveling either! But I made it thank goodness. And I agree with you about overflowing dough. There is just something silly about it that makes me giggle. That’s why I always include the photos when I have dough that goes crazy! And yes! Crisco sticks are the beeeeest!! Thank you Julie! It’s so weird that I have no sway toward boy or girl. I just have no idea!! We will see I guess! Congratulations!! !I think your having a girl! I can not wait to try this fabulous recipe! All the ones I’ve tried are great! Thank you Denise! We’re so happy. I’m glad you’ve enjoyed the recipes you’ve tried!! EEEEEE!!!! I can’t wait to meet your newest bun in the oven. She will be the most adorable (that’s my guess – a girl). I feel you on going through allofthemilk in a day, my friend. And I’d be all over these rolls if I were pregnant too! You started a trend Sarah! I think most people are guessing girl! I just found out yesterday that my ultrasound isn’t until JULY 6 which is basically an eternity. haha. Thanks friend!